﻿ Countryside Gazebos - Ohio. Find It Here. 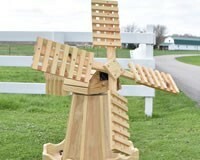 Bring a little bit of Geauga County's Amish Craftsmanship Home with you! Is your lawn missing something? Maybe a shady place to sit, furniture or even a fun swing. 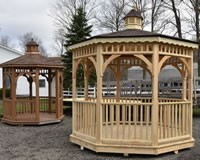 Bring new life to your yard by calling Countryside Gazebos & Outdoor Furniture. We are family-owned and -operated and our builders have over 30 years of experience. 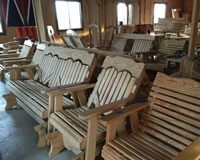 We know how to build it, sturdy and just how you like it. 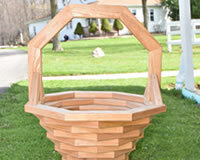 Show your lawn off by adding a little style.Countryside Gazebos & Outdoor Furniture was established in 2006. 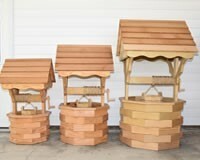 Combing the experience of our craftsmen to create beautiful outdoor structures and provide residence with attractive furniture and accessories. Contact us today for a free estimate!